Listing all of Amazon’s offerings would take up this entire blog post. But, for those who may live under a rock which shockingly has no free WiFi, they include its online retail arm which now sells everything from books to clothes to appliances, the AmazonFresh grocery service, Amazon Web Services, the Kindle product line, music streaming and more recently its AI brainchild, the intelligent personal assistant Alexa. And just this week, Amazon moved further into the role of ‘media leader’, announcing it will add live TV channels including ITV to its Amazon Prime streaming service. Key to Amazon’s success so far has been its ability to spot a trend or consumer need and develop a service or product that addresses that before anyone else does. Take Alexa, which in 2016 sold 5.2 million units worldwide. The idea of the “smart home” has existed for years, and indeed some manufacturers have developed smart appliances – mostly fridges. But Alexa has made an AI-led home a more commonplace reality – capable of voice interaction, music playback, to-do lists, streaming podcasts, and providing weather and info. It also controls several smart devices using itself as a home automation system. 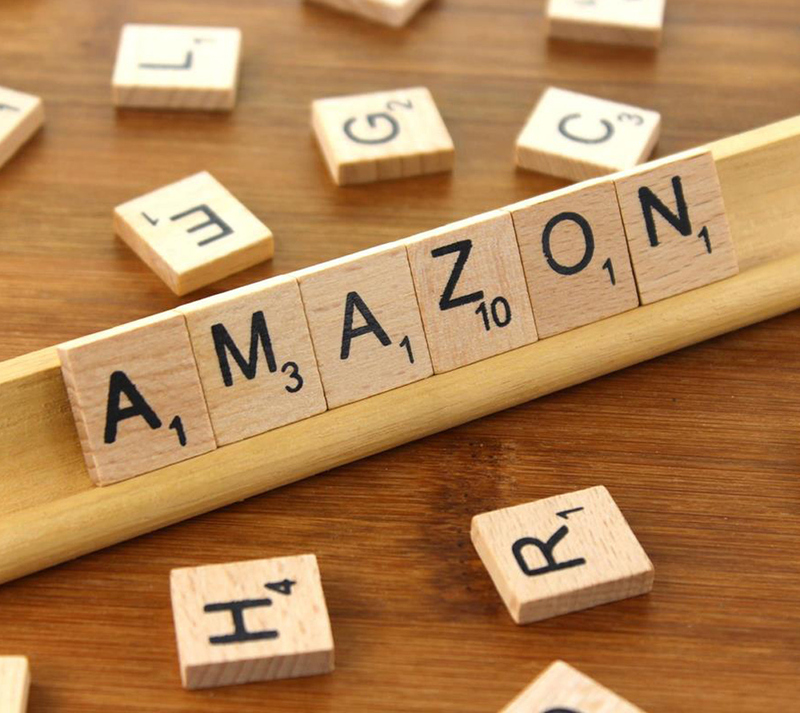 Spotting the growth of mobile shopping and banking, the rise of streaming and the general shift to digital across most demographics, Amazon took the bull by the horns and stole a march on the competition. It’s this innovation that will be key to its continued success. And right now, it looks pretty immovable as a leader in tech advancement. But… there are storms brewing. Despite being one of the world’s most successful brands, questions have been raised about its ethics. It has been accused of anti-competitive or monopolistic behaviour. This includes instances of price differentiation, enforcement of controversial patents against competitors and attempts to prevent discounted direct selling by publishers. And there is the matter of the company’s legal compliance, specifically the ongoing controversy over taxation – or lack thereof. Compounding these problems, there are reports of poor treatment of workers, with allegations of summary dismissals for health problems and anti-unionisation tactics. Some may think this doesn’t matter – that how Amazon treats staff, for example, might impact what we think of it, but they’ll still use Amazon. But increasingly, that’s not the case. Our client MediaCom recently launched a campaign looking at the impact of brand purpose – more specifically it examined how customers react when brands don’t have good behaviours or beliefs at their core. The results were clear: 40% of consumers have abandoned a brand because of poor corporate values. Not only that, but one-in-two consumers will pay more for a brand that supports a cause that’s important to them. Suddenly corporate social responsibility, something it could be argued has been seen as a “nice to have” by many brands, is proven to have a major impact on sales and revenue. So can Amazon continue its march? Yes of course it can – its investment in innovation will drive society’s use of technology forward. That should be commended – and it will certainly be used! But I believe its problems behind the scenes will, at some point, come to a head and Amazon’s success will be hit. As Generation Z grows up reading the bad headlines and have to with more and more Amazon-alternative digital options, it is logical that Amazon may suffer. Indeed the same could be said of any brand that is seen to perhaps not put social responsibility as high up the boardroom agenda as it should be. We’re living in a world where, as a society, we are more aware than ever of global news, business and politics. In this world, brand reputation must encompass not only PR, thought leadership and raising awareness of innovation. At their core, the most successful businesses will also have strong values to ensure they don’t fall foul of an increasingly socially-aware customer base. Reputation takes years to build and seconds to destroy. Brand purpose should be part of a company’s DNA and a pillar of any communications and interactions with consumers. If brands combine the kind of technological innovation and market savvy Amazon has shown, while proving themselves as inherently ‘good’, they will thrive.